This FAQ is created for people to explore the vast possibilities of their Nokia N-Gage, a Symbian Series 60 gamepad designed phone. It is a consolidated list of many tips and tricks scattered around the web. Nokia N-Series phone users - an alternative FAQ has been made. Please click Nokia N-Series FAQ. About 80% of the questions answered in this FAQ also apply to the other Nokia Series 60 Symbian phones such as Nokia 7610, Nokia 6620, Nokia 3620, Nokia 3660, Nokia 6600, Nokia 3600, Nokia N-Gage, Nokia 3650, Nokia 7650, Nokia 6682, Nokia 6680, Nokia 6681, Nokia 3230, Nokia 6670, Nokia 6260 and Nokia 6630. However, keep in mind that this FAQ is meant to answer Nokia N-Gage queries mainly. If you notice something written incorrectly or some instruction leading a false way, please inform me. We appreciate your help to help fellow N-gagers! 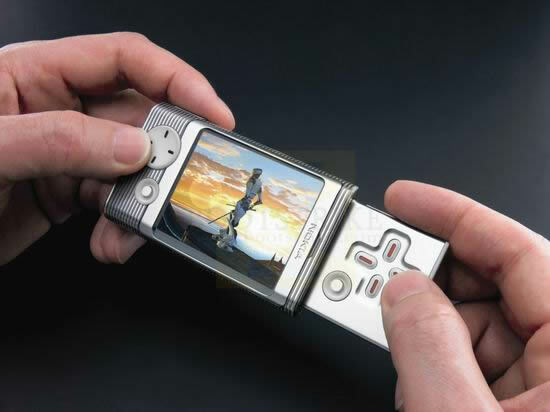 UPDATE AUG 29 2007: Nokia announces new N series models that work on a new N-Gage platform. Read more here. UPDATE FEB 11 2007: The N-Gage 2 platform will be used on Nokia's Series 60 phones. There will be no actual new N-Gage 2! More information here. There will be NO new N-GAGE anytime soon due to low sales. More information here. I have had many queries asking how the N-GAGE 2 looks like. To settle this once and for all, here is a picture of the N-Gage 2. There is one fan made pic of the N-Gage 2 spreading around also. Guest (Posted in Forums) - for pointing out that the N-Gage can be set to play AMR files for SMS Message tones. Fiendishmortal - for pointing out that his 128MB TwinMos works perfectly on the N-Gage, a QD way to extend Classic's battery life and pointing out the mp3 player range error. Get the N-Gage Classic or the N-Gage QD. The best gadget ever! Full version N-Gage Games can be obtained here. N-Gage Classic Leather Case with Clip. Slim and stylish design . N-Gage QD Flexi Skin to protect the casing. Elastic and durable. Extend your N-Gage Classic's Battery Life (See #77 in this FAQ for details). Here are some high resolution N-Gage logos. 1) Will existing first generation N-Gage games be compatible with the new N-Gage ready devices? Due to evolution in the underlying technology, the original first generation N-Gage games will NOT be compatible with next generation N-Gage compatible devices. Similarly, the next generation N-Gage experience will not be compatible with the original N-Gage game deck or N-Gage QD devices. However Nokia is bringing a wide range of content to the next generation mobile gaming platform, including select N-Gage franchises. 1) What is the next generation of N-Gage? N-Gage brings you exceptional, made-for-mobile gaming, now on a range of powerful Nokia devices. Download best-in-class titles from top publishers to your device or compatible PC. Try any game for free so you only buy the ones you want. Track and share your scores, and play with friends from across the street or around the world. Join the new wave of mobile play. 2) When will the next generation N-Gage experience be available? The full N-Gage experience will go live in November 2007. At that time, the free N-Gage application will be available for download from N-Gage.com either via your compatible mobile device or PC. Nokia's lineup of great N-Gage games to try and buy, as well as expanded features on the website, will also go live at that time. Compatible devices that come to market after N-Gage goes live will include the N-Gage application pre-installed on the device. Sign up to be notified when the N-Gage experience goes live and the N-Gage application is available for download. 3) Which Nokia devices will be N-Gage compatible at launch? 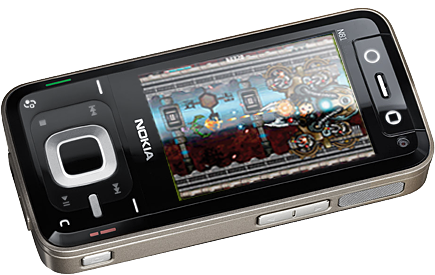 The current launch roster of N-Gage compatible devices includes the Nokia N73, Nokia N81, Nokia N81 8GB, Nokia N93, Nokia N93i, Nokia N95, and the Nokia N95 8GB. See the Get N-Gage section of this website for more information on these devices, including pictures and features that support gaming. Please note that Nokia will continue to announce N-Gage compatibility with a wide range of S60 Nokia devices on an ongoing basis. N-Gage compatibility is not limited to Nokia Nseries devices. Sign up for the N-Gage newsletter to keep up with the latest N-Gage device announcements. 4) Are these the only Nokia devices that are N-Gage compatible? These are only the first devices that are announced as N-Gage compatible. Additional devices will be added to Nokia's roster of N-Gage compatible on an ongoing basis as new Nokia products are announced and released. 5) Will N-Gage compatible devices require 3D graphics capability in order to support the next generation of N-Gage games? While in the future some games may be specifically designed for a dedicated 3D graphics chip, all of Nokia's announced next generation N-Gage games should be fully playable on the full range of N-Gage ready devices. N-Gage compatible devices are chosen for their ability to support a high quality mobile gaming experience and therefore include many powerful features that support gaming. See the Get N-Gage section for more information on devices and features. 6) Will existing first generation N-Gage games be compatible with the new N-Gage ready devices? Due to evolution in the underlying technology, the original first generation N-Gage games will NOT be compatible with next generation N-Gage compatible devices. Similarly, the next generation N-Gage experience will not be compatible with the original N-Gage game deck or N-Gage QD devices. However Nokia is bringing a wide range of content to the next generation mobile gaming platform, including select N-Gage franchises. Vivendi Games MobileNokia expects more publishers to support the next generation of N-Gage gaming and will be announcing new partnerships on an ongoing basis. 8) Which next generation N-Gage games will be available at launch? There are approximately a dozen games that have been announced and many more are in production for the next generation of the N-Gage experience. Drop by the Showroom to view dedicated game pages, including screen shots and descriptions of each of Nokia's games. You can also sign up for the N-Gage newsletter to keep up with the latest news on N-Gage games. 9) Are additional games planned? Absolutely! The new N-Gage experience will see exciting new games and franchises joining Nokia's line-up through the remainder of the year, throughout 2008, and beyond. Stay tuned, Nokia's only getting started. Sign up for the N-Gage newsletter to keep up with the latest news on N-Gage games. To find an question/answer quickly, utilize your browser's Find function. What are the major highlights of the N-Gage Classic? Playstation 1 - almost like graphics, Gamepad design, Bluetooth (File Send, Multiplayer, Headset), Stereo Mp3/AAC Player (with some inconveniences), (AMR) Recorder, Stereo FM Radio with 20 channels, E-Mail, Symbian 60, GPRS, Mass Storage Device, 3.4MB internal memory, support for external MMC and 4096 color display support. 2) After I formatted my MMC using the PC connected to the N-Gage, it starts complaining that the MMC is corrupt? Reformat the MMC using the FAT or FAT16 option. Not NTFS or FAT32. Or use the built-in Format utility found in Menu > Tools > Memory > Options > Format Mem. Card. 3) Can I play Nintendo games on my N-Gage? Yes! However, you have to pay as the platform is emulated. Vampent vNes is the current popular choice. 4) Can I play Super Nintendo games on my N-Gage? Yes and No. Vampent vSun is the only existing emulator for Super Nintendo and the current version manages barely any game with sound. You also have to pay as the platform is emulated. My advice: Wait. 5) Can I play Sega Master System & Game Gear games on my N-Gage? Yes! However, you have to pay as the platform is emulated. WildPalm's SonicBoy is the current available emulator. 6) Can I play Gameboy games on my N-Gage? Yes! You can try WildPalm's GoBoy for free. Vampent vBoy and WildPalm's Super GoBoy are the available paid version emulators. 7) How do I put Mp3 files in the N-Gage? Connect the N-Gage to your computer a compatible USB cable. A new drive should show up with the Ding Ding sound (If it doesn't, try restarting your device and computer). Place the Mp3 files in a folder (I name it Mp3), and safely disconnect by left clicking on the USB icon in the bottom right. This should clear the cache. Disconnect the cable, wait 10 seconds for the N-Gage to refresh its menu, access Music Player and you should be able to play the files. 8) How exactly is the N-Gage Stereo? Unfortunately, the N-Gage is stereo only in the Mp3 Player and FM Radio only. It uses a dedicated hardware to output the sound in stereo. Normal applications do not have access to this hardware via the standard programming interface. So if you use UltraMp3 to play your Mp3, it will be in mono. Likewise for games, applications, Recorder and other audio applications. 9) How comfortable is the N-Gage for playing NES games? This is in my opinion. It's not really like playing the actual system. In Super Mario 3 where Mario has to run continuously in order to fly, the timing is easy to slip because of the arrangement of the buttons. Twin Cobra presents problems where control is very precise and I find my fingers slipping off the directional pad in the heat of the moment. 10) What are the differences between the Classic and the QD version? 11) Does the N-Gage have Infrared? 12) Can the built-in Music Player record from the built-in Mic? No. The Music Player demands that the audio cable be connected, for good reason too, it is a Line In Recorder. If you wish to record from the Mic, you must use the Recorder program to record in AMR format (limited to 1 min per clip; use Extended Recorder (records in AMR/WAV) for unlimited). However, you should be able to connect a mic using the converter and record from it using the Music Player. 13) Does the N-Gage support Diagonal direction movements? Yes - Only in applications that utilize them. Symbian Menu System does not while most games do. 14) Can I play games from the MMC(MultiMedia Card) while using Music Player? No. The Music Player locks out the MMC and dedicates it to purely playing the music from the MMC. But you can try this: Load the game you want to play, press the Music Player, play the songs and go back to the game using Task Manager. Some games load themselves fully in memory and may still be playable, so it is worth a try. 15) Is there any way to play games while listening to Mp3s? Yes - you can use software like UltraMp3 and Mp3Go. The minus point is that the sound will be in mono and much lower quality (read:terrible). Another way is to load the game you want to play, press the Music Player, play the songs and go back to the game using Task Manager. Some games load themselves fully in memory and may still be playable, so it is worth a try. 16) How do I send a file/image/ringtone/song/video from my N-Gage to another user via Bluetooth/Infrared? Use FExplorer(free) and send the file. With this app, you can explore your phone like using Windows Explorer. It also has functions like restarting the phone and viewing running processes. 17) Why is there a long delay for the sound to play when someone calls/SMS me? Your MMC is probably the cause. Shift the sound files to your Phone Memory "nokia/sounds/digital" folder and set your Profile to load the sounds from there. Note that this cannot be done for MP3 files, they must reside on the MMC. You can also try defragging the MMC (see #48). 18) Is there any way to speed up the first page of the menu? Move all applications that link to the MMC to one folder so that the phone will not look for them in the slow MMC. 19) Is there any way to speed up the phone? First method - Go to Extras > Log > Options > Settings > Log duration and set it to 1 day. Large log files take up more memory and slow the phone down. Second method - There is a widespread tweak that claims to speed up the phone slightly. Some swear that their phones run faster while others notice no difference. Here's the tweak: First go to your To-do List, Make a note and input as follows, "Subject: Speed, Due Date: 01-29-2005 (mm-dd-yyyy), Priority: High" then press Done. Make a second Note and input as follows "Subject: Qoukie, Due Date: 01-29-2005(mm-dd-yyyy), Priority: Low" then press Done. Do not exit yet, Press the Option of your Subject note which is Speed and Mark as done. Then press the Option of your Subject note which is Qoukie and Mark as done. Now, reboot your mobile. 20) Why does my N-Gage Classic keep asking for the Date and Time everytime I change the Battery/MMC/SIM Card? This is normal. You only have a few seconds to insert back the battery before the N-Gage looses track of time and you will have to input the date/time. Yes, this means that most of the time you change your battery/MMC/SIM card, you have to reenter the time. 21) What are the two round connectors on the N-Gage used for? The left one is used for stereo sound output as well as stereo sound input for AAC recording. The right one is used for headset attachment. Lost your stereo sound output adaptor cable? You can find it here. 22) Is there any software that can cut MIDI files? Anvil Studio has the ability to do that and it is free. Use the Truncate options in the File menu after installing to cut a file. 23) Is there any software that can cut Mp3 files? Yes. And it's freeware. Check out Mp3Cutter 4.0. 24) How do I convert my videos/movies to play in the N-Gage? There's 3 ways: The most user friendly, quality and space efficient way - SmartMovie - or the RealMedia way - Real Producer 10 Plus - or the most quality/space efficient way - MobiClip. All involve payments to the respective companies for the encoder/player. 25) I just got the N-Gage and want to migrate my contacts from my old Series 60 phone. How do I do it? Contacts Transfer (free) to the rescue! Uses Infra-red, Bluetooth or Memory Card to transfer your contacts. Typical Procedure: Install the program, backup to MMC, send Contacts.data.z file to a PC/Bluetooth phone using FExplorer, format phone, install back the program, send back the file using your PC/Bluetooth, activate the program and choose import from C:. I had trouble when I tried to restore from MMC or C Drive and this is the one method that worked. 26) I just got the N-Gage and want to migrate my contacts from my old Non-Series 60 phone. How do I do it? The best way would be to move the contacts to the SIM card using the old phone, transfer the phone, [Optional: Hard Reset your phone - #30], go to Tools > Sim Directory and copy all contacts to your phone. 27) I just got the N-Gage and want to migrate my SMS from my old phone. How do I do it? If both are using Symbian OS, then you can try copying the system/mail folder from the old phone to the new phone's C Drive. If that doesn't work, use Oxygen Phone Manager for Symbian Phones, Message Saver or Multitasker to save the messages in your PC instead. 28) What is the number one program that everyone should have? FExplorer. File Explorer. Allows you to send any file via MMS, Bluetooth, view processes and much more. 29) How do I soft reset my phone to the factory defaults without all SMS/contacts being erased? Make really sure you have backed up whatever ringtones/photos/SMS/contacts/videos/etc on your phone to your computer as this procedure may cause the files to be lost. Your SIM card will not be touched though. With the phone in at least 3/4 charge, enter *#7780# and follow instructions. If security code is prompted, enter 12345 unless you changed it. 30) How do I hard reset my phone to the factory defaults with all SMS/contacts erased? Make really sure you have backed up whatever ringtones/photos/SMS/contacts/videos/etc on your phone to your computer as this procedure will make your phone reset to factory state. Your SIM card will not be touched though (contacts IN sim card will remain but contacts IN phone will be erased). With the phone in at least 3/4 charge (without plugging in charger), enter *#7370# and follow instructions. If security code is prompted, enter 12345 unless you changed it. 31) After formatting my MMC in Windows Explorer, I am unable to access my MMC anymore? The MMC must be formatted in FAT (or FAT16) format. Re-Format the MMC in FAT (or FAT16) as the File System Type option. 32) How do I transfer SIS/Mp3/JPG/etc files in the N-Gage? 3 ways: 1) Via USB, place the file in the root of the MMC folder, 2) Send the file via bluetooth (or bluetooth adaptor for PC) to the phone, and simply open the message to install (delete message after installation) 3) Use a Card Reader to read your MMC, place the file in the root (not inside any folder), and reinsert back to the N-Gage. For placed SIS files in the root, install the programs via the Manager. 33) Can I setup my N-Gage and Bluetooth Adaptor such that I can use the N-Gage to surf the Internet using my home connection and not GPRS? Yes - it is possible. Simply connect the N-Gage to the PC via mRouter. Make sure PC Suite can successfully connect to it (i.e. it appears under Known Devices list). Finally, just use any web software (like Agile Mobile, Opera, Netfront) setting Access Point to None, to connect to this gateway, except the built-in browser and Java Programs (which allows only real GPRS ones). The mRouter acts as a gateway for the Internet. WARNING: The G icon must NOT appear when trying this method. If it does, it means that you are currently using GPRS Internet NOT bluetooth internet. Proceed with caution. I will not be responsible for excess GPRS charges. 34) Is there any shortcut keys to access menu items? The numbers 1 - 9 act as shortcuts in the main menu. Beyond the 9 items, you will have to go manually. 35) Why does a Contacts on the left selection key take some time to open as compared to pressing the directional pad? The phone delays some time as it waits for a "*" key press in case you want to perform a Keypad Lock. Use the directional pad button for quick contacts access. 36) How do I check the time on the phone with the lights when my Keypad is locked? Press the Power button, the display will light up and the keys will remain locked. 37) How do I check the version of the firmware that is running? 38) How do I obtain the IMEI of my N-Gage? 39) Can I start my device without loading the automatic programs - i.e. Safe Mode? When switching on the phone, press and hold the pencil key until the display is in standby mode or at the PIN request screen. 40) How do I copy and paste text? Press and hold the pencil key, use the scroll keys to select and press the left selection key to Copy. Move the cursor to the desired position, press and hold the pencil key and press the right button for Paste. 41) Any shortcut to mark multiple items on a list? Press and hold the pencil key, and scroll as desired to mark. 42) How do I see background running tasks (Task Manager)? Press and hold the menu key. To terminate a particular program, select it and press the Cancel key. For more detailed tasks, use FExplorer's Processes. 43) What is the maximum MMC size that the N-Gage can support? Reports are that it can support up to 2GB. However, please note that the performance as well as battery life degrades with the space as searching through the whole MMC takes time. Personally 512mb is the preferred size. You can find 512mb and 1gb cards at Amazon. 44) How do I backup my MMC properly? Place the MMC in a card reader. Make sure "Show Hidden Files" is ticked in Tools > Folder Options > View. Copy the MMC contents and note the label of the card in a text file. 45) Can I use Mp3 as ringtone? 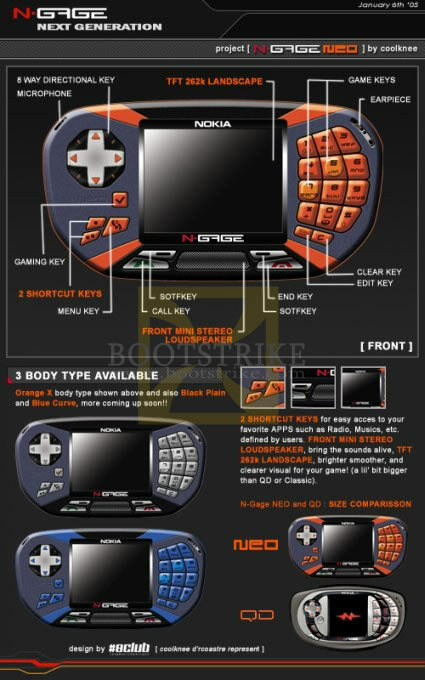 For N-Gage Classic, yes, and it must reside on the MMC. For QD, no, but you can still use WAV files if you desire sounds. 46) How do I change the wallpaper/background image of the standby screen? 47) Why do all my program icons disappear after I have disconnected the USB cable? The cause was that the phone was used immediately after disconnection. After disconnection, give the phone about 10-20 seconds. The icons should come back. Restart the phone if it still does not work to restore the icons. 48) How do I make my MMC access faster? Connect the N-Gage via a USB Cable or put the MMC in a card reader. Go to Start > Programs > Accessories > System Tools > Disk Defragmenter and defrag your MMC drive. Make sure you have 15% free space. 49) Can I listen to multiple audio sources like Radio/Mp3 and Game Effects at once? 50) Can I obtain extra color palettes for my N-Gage? In some firmware revisions, Nokia introduced some more palettes in N-Gage but remain hidden for unknown reasons. Palette Extender is your key to unlocking them. The original website is gone - so search for pextender60.sis should the link go dead. 51) How do I activate Voice Dialing? Press and hold the right soft key. 52) Can the Nokia N-Gage covers be changed? Yes. But you may be voiding your warranty. You can find them in mobile phone shops. 53) Why isn't the N-Gage getting connected with the PC Suite when I use the USB connection? It's meant to be connected using Bluetooth. USB is solely used to access the memory card. 54) What are the alternative ways to talk as I want to avoid Side-Talking? You can use the wired headset, wireless Bluetooth headset or the loudspeaker. Or modify your phone (voiding the warranty) - see here. I have personally made a hole using a hot nail (held by pliers) and though the hole is irregular, it worked out for me. 55) Sometimes the MMC drive does not come after I connected the cable even though the icon is showing in the N-Gage? Disconnect the cable, restart the N-Gage (use FExplorer for faster restarts) and connect the cable back. If it still does not work, use a external card reader as it could mean that the MMC is corrupted. 56) Can the N-Gage play WMV/AVI/MPG/DAT/MPEG4/VCD/DVD video files? No - you need third party software to play most video types. SmartMovie is one example for XviD AVI files and it offers full screen landscape viewing too. For the rest, I have not heard of any players as the bitrate for the other videos can be quite high. The only ones that you can play without additional software are 3GP and RealMedia(RM) files, both of which separate encoders are required. 57) Can the N-Gage support Kingston's MMC Plus cards? There are positive and negative reviews out there. I recommend sticking with normal MMC cards as no one as reported speed increases with the new cards. 58) Is there any easy way to access the C Drive files from my PC? Yes, there are third party applications out there that can accomplish this. vDisk and Handy File are some examples of them. 59) I sent a file via IR/Bluetooth to my phone and it came as a SMS. Where is the file saved in the phone? In C:\SYSTEM\MAIL, perform a search for the file using FExplorer. Newer versions allow you to access the file directly through a Inbox shortcut in the root of FExplorer. 60) How do I enter numbers when keying in a SMS message? 61) Is there any shortcut to access my WAP homepage? Press and hold "0" in standby mode. 62) How do I keep the backlight on? You can FExplorer Tools > Light On or use PowerTorch. 63) Can I record calls that I receive or make? Yes, you can use the Recorder function in the Media folder to record. It is limited to 60 seconds though or you can use third party software like Call Recorder or Extended Recorder for unlimited. Note that there will be a periodic beep around once every 5 second when recording is on. 64) Will using the Offline mode free up more RAM? Yes. To access offline mode, press the power button and select the offline mode. The phone will restart and you will not be able to use it to make calls until you switch to other online profiles. 65) How do I make the image of a caller appear on the phone when he/she calls me? Go to Contacts, Select a contact, Options, Edit, Options, Add Thumbnail. If you want the pictures to be larger, check out Full Screen Caller. 66) How do I give a personal ring tone to a contact? Go to Contacts, Select a contact, Open, Options, Ringing Tone. 67) Is it possible to block my Caller ID from being sent? With some service provider's it's possible. Go to Tools > Settings > Call > Send my Caller ID > No. Try making a call - if it works, then you are all set. However if you receive messages like "check my caller id sending", then your service provider requires you to send the info. 68) Is it possible for me to change the shortcuts at the standby screen? Go to Tools > Settings > Device > Standby Mode and change Left/Right selection key as desired. 69) How do I increase the volume of a MIDI file? Use PSMPlayer. Download the English version. 70) How do I convert Midi/Kar/Wav to other formats? PSMPlayer can convert to/from midi/rmi/kar/dxm/als/dat/cmd/mel/sml/mld/pmd/mmf/smd/smz/wav/mml/m3u. 71) Is it possible to increase MMC free space by reducing block size? Yes - Connect your N-Gage to the computer. Go to Disk Management (Right click My Computer, Manage, Disk Management). Right click on your MMC drive, Format (yes, you will lose all data, so move all data to your PC temporarily) and set the smallest allocation size possible. 72) How long can the N-Gage battery life last for the various usage of functions? 73) Can I use the N-Gage without a SIM Card? No - if you want to, find a unused SIM card or buy a prepaid one and let it expire. The N-gage can still be used even though the SIM card has expired. 74) The FM Radio is suddenly giving "App. closed FMRadio" - How do I fix it? 75) I downloaded some ringtones - How do I use them as Ringtones? Mp3 - Simply put them in your MMC, any folder. OGG/WMA/etc - You need to convert them to Mp3/Wav format. Use CDEx for the conversion. For OGG, you can use OggPlay to play them. 76) What are the limitations of the Music Player? The Music Player plays Mp3 files of up to 320kbps. You cannot fast forward or rewind songs. Neither can you mix MIDI songs with it. 77) Can the N-Gage Classic's BL5C battery life be extended by replacing it with the QD's BL6C battery? Yes, it is possible. I am using it that way and the cover seems slightly out of place. The trade off is that you get longer battery life. 78) My Music Player keeps crashing. Why? Try starting the music player with the headpiece adaptor plugged in. Next, try deleting the playlist.dat file in your MMC drive using FExplorer. If it still doesn't work, restart the phone. Symptoms include icons suddenly moving back to root folder, unable to start Music Player and songs refusing to play (hitting the play button but nothing happens). 79) How do I change the Operator Logo to my own image? 80) Can I stop the phone from asking me "Receive Message from..." from my friend's phone? Partner with your friend using the Bluetooth's Partner function. After partnering, set his connection as Authorized by selecting his phone name in the Bluetooth connections list and going to Options. 81) Is is possible to change the location of the saved SMS to my MMC? I can't receive files bigger than 4MB in my QD! Personally, I discourage this as it could cause problems when using the Music Player (it locks the MMC when playing songs). Having said that, MsvDriveE (msvdrivee.sis) is your answer. Applying this SIS file will set it such that new messages will go to E Drive, your MMC. Yes, this means all your old messages will be still in C:, you can try copying the files manually to your E Drive using FExplorer to access the old messages. WARNING: This program is known to cause problems. Test first before using it. For how to uninstall/remove it, see #96. 82) How do I set the phone such that the keypad autolocks after a specified amount of time? Use Petteri Muilu's Autolock. Free, runs in the background. The time of wait can be customized. 83) Why does the Music Player take so long to load? Everytime the Music Player is started up, it starts scanning the MMC for mp3 files. Bigger MMC, more time. If there is a way to bypass this and instead load from a playlist, please let me know! 84) How do I set my calendar reminder such that it reminds me a few days before the event? You can't - unless you use third party software. Check out Epocware's Handy Dates. 85) Can I charge my N-Gage through the USB port? No. However, there may be some third party accessories that can convert the USB connection to the charger plug. 86) Where can I get free N-Gage Games/Blz/Appz/Gamez/Etc? This website does not assist nor condones illegal activities. So please stop sending emails regarding the above. 87) I got a new phone! And it is not a Series 60! So how do I move all contacts to the SIM card? To move a contact: Press the directional pad in the standby screen, select a contact, press the directional pad to Open, Options, Copy to SIM direct. Yes, you have to repeat this for every contact you want to transfer. Newer Symbian phones have a Mark All, Transfer to SIMs option, but neither N-Gage nor QD has it, they're using the older Symbian OS. 88) Can I select Mp3 as a SMS Message Alert tone for my phone? This is one aspect Nokia left out. Probably due to the slow loading time of the mp3 perhaps. The answer is NO. You can only use MIDI/Wav/Amr tones as SMS Message Alert tones. 89) When using a Bluetooth headset, can the N-Gage play mp3 through the wireless headset? No. You can use a software mp3 player like Mp3Go or UltraMp3 though. 90) When using a Bluetooth headset, can the N-Gage direct radio through the wireless headset? No. You can use GPRS radio though. 91) When using a Bluetooth headset, why does the N-Gage only vibrate when set to a mp3 ringtone? It cannot direct mp3 to the bluetooth headset which is why it vibrates instead. Set your ringtone to a MIDI/WAV/AMR sound file instead. 92) I have a Bluetooth stereo headset, can I use it to hear sounds in stereo? No. Stereo bluetooth headsets came after some time N-Gage was released. 93) How can I play/convert WAV/MP3 to AMR files in my computer ? Nokia's Multimedia Player can play and convert AMR files. It worked with my Classic at AMR Highest Bitrate. Get it here. Registration required to download AND use this product. 94) When I send files to my computer's Bluetooth connection, my N-Gage says "Unable to Connect"? This is because of security reasons, your computer will not accept connections automatically. To receive files, right click on the bluetooth icon in your system tray, and select Receive A File. If you are using Wildcomm's driver, ensure that the blue icon is in your system tray and go to My Bluetooth Places (Desktop), My Device and that "My PIM Item Transfer" is Enabled and "Automatic Startup appears". Right-click it, Properties, and configure to receive all items in a folder. It should work now. 95) Is there any shortcut to call a number/URL that was sent through SMS? Open the message, go to Options, Find, Phone Number (or others that you want to locate). When the desired text is auto highlighted, press the green Call button to quick call the number. 96) How do I uninstall MsDriveE? Switch off your phone, remove the MMC and switch it back on. 97) Where can I get N-Gage Classic Launcher? You can get it at Nokia's N-Gage Arena Launcher site. 98) Can I adjust the volume of my SMS ring tone without changing the actual voice call ring tone? No - the volume control in the profile affects both SMS and Messaging tone volumes. Try using 3rd party programs to manually reduce the volume in the sound files. 99) How do I customize the icons in my N-Gage? Sysiconz to the rescue! Take a look here - Registration required. 100) How do I convert videos (AVI/MPG/WAV/MP3) to AMR/3GP format? 101) How do I play 3GP videos? You can use Quicktime Player. Or Nokia's Multimedia Player. Get it here. Registration required to download AND use this product. 102) Where can I download RealOne Player for N-Gage QD? It in the CD that came with your QD. If you have lost it, you can either use Helix Player or RealOne (said to support only 7650 - it is said to work). 103) How do I open the N-Gage Classic cover? Remove the back cover. Take out the battery. There is a series of clips at the bottom of the phone holding the front. Unclip the 2nd and the second last clip and it should come open. 104) How do I lock the Keypad? Press the left selection key and quickly press the asterisk key. 105) Is it possible to adjust the backlight brightness? Not possible with the Nokia N-Gage or QD, but the newer phones such as Nokia 3230 and N70 incorporate this feature. 106) Help! I am unable to startup my N-Gage!! What can I do? Second - When switching on the phone, press and hold the pencil key until the display is in standby mode or at the PIN request screen. 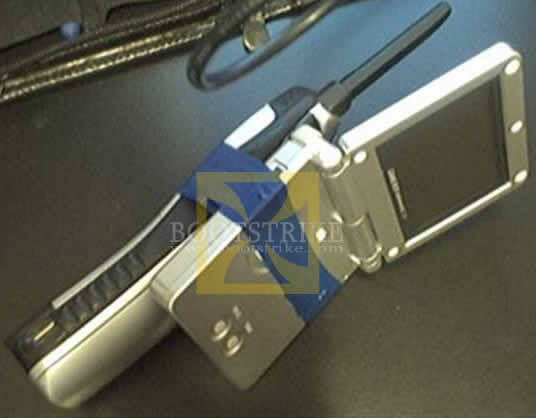 Third - Bring it to Nokia Service Centre. 107) Where can I download the N-Gage PC Suite? Unregistered hi. Why can't register for n-gage anytime i try they keep on telling me unable to create account. Please guyz i neee help. Cause i cant even play my games fully. Unregistered hi, why is it that my nokia n-gage classic does not have a file manager. battlecock (1 posts) hi. is there a way i can turn the backlight off?.., or can someone give me a link where can i download Nlights v0.15? one more.. whats the best java rpg game thats compatible with my n-gage? Last edited by battlecock 24 Jul 2009 . AJ Unregistered My son has the original N-Gage unit. He is now getting the error message (Device Start-up Failed, Contact retailer). Any help would be appreciated. jhonelle Unregistered where is the guide how to stop data transfer? frostymoon Unregistered hey all - anyone still using their NGages? -one that has never been connected to a phone provider but oddly has a T Mobile logo - it was purchased at a Game Stop, not a phone store. merulez7 Unregistered why i can't open my message and logs..?? I've so much format code but it still doesn't work for my n-gage ....What can I do...??? With a red light glowing is there any software to repair it ??????????? Admin Administrator try doing a hard reset? If it still happens with the applications that come with the QD (such as Notes, Calendar), a trip to Nokia Care Center is in order. Else the software is in fault.